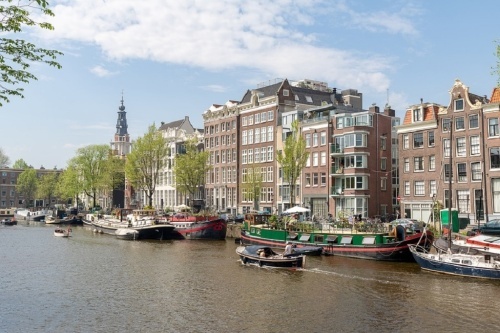 By the end of the Amsterdam XL City Bike Tour, which lasts two and a half hours, it is very likely that you will know more about the city than the average Amsterdammer. 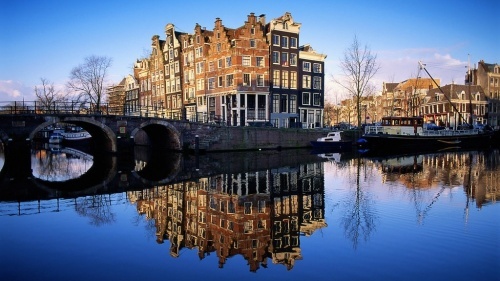 A professional guide will take you around all the highlights of the city at your own pace. And you’ll get to know a lot of things along the way that you could never dream of learning about in a travel guide! 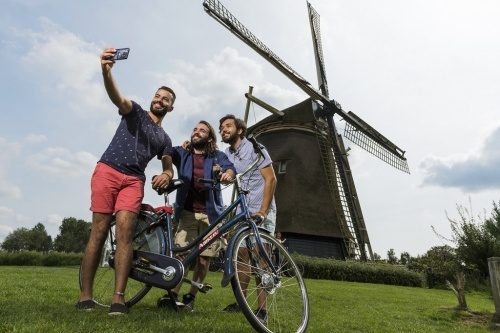 The Amsterdam XL City Tour departs every day at 10am from the A-Bike shop at Dam Square or in the Vondelpark. During the bicycle tour, your guide will safely lead you through the most beautiful parts of the Amsterdam canals, which are famous for their unique houses built on land and on water. 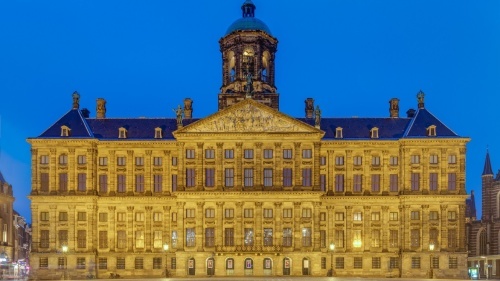 All of the canals form a circle around the oldest part of the city, with the Dam Square in the centre. On this square, your guide will tell you everything there is to know about how the city came into existence. 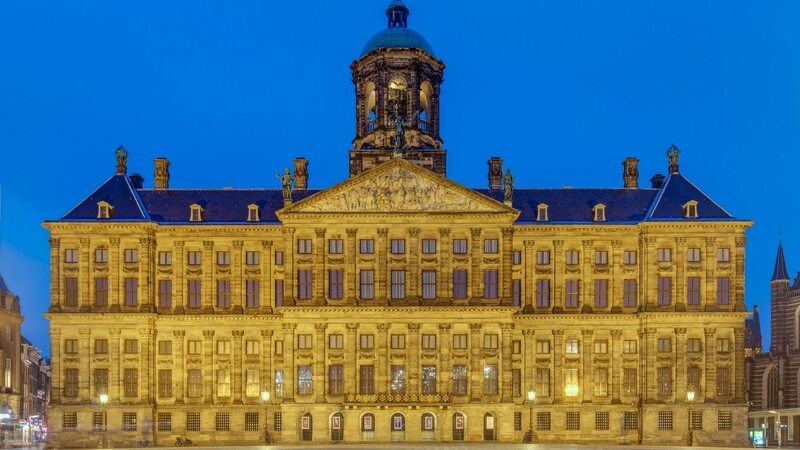 And of course he won’t pass up the chance to tell you about the Royal Palace. If you’re lucky, you might even catch a glimpse of the King or a princess! Not far from the Dam, you will then visit the world’s only floating flower market. 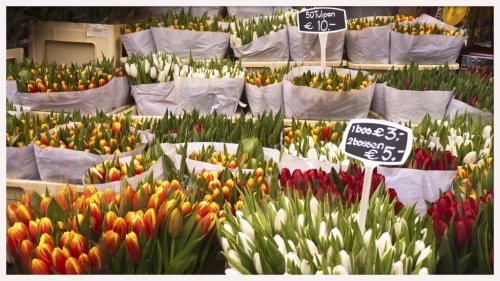 Aside from flowers, they sell tulip bulbs there, which means you will be able to bring a colourful piece of the Netherlands back home with you. Time to take a breather? 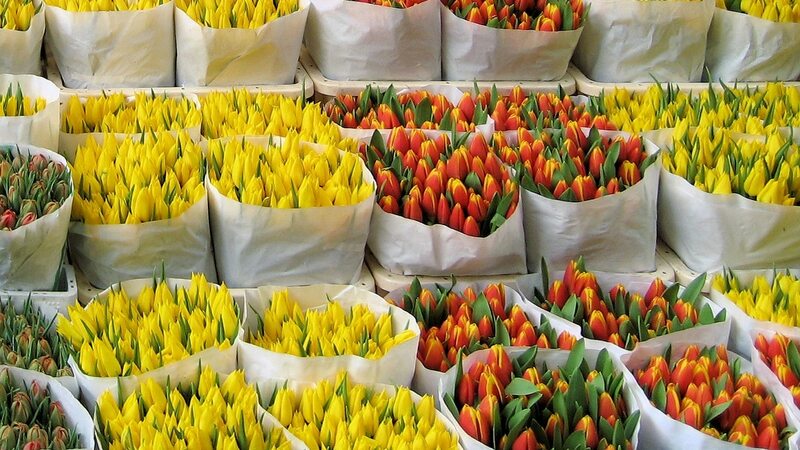 Where better than to do this in Amsterdam’s biggest city park: the Vondelpark. 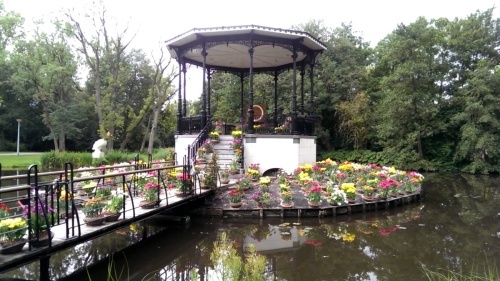 This beautiful, historical park south of the centre has over 10 million visitors every year. And yet, you will always be able to find some peaceful spots where you can totally relax. 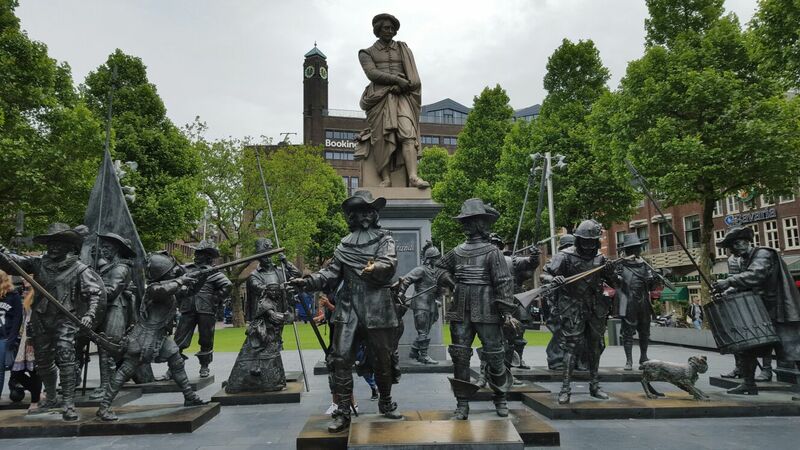 A bicycle tour through Amsterdam would not be complete without a pit stop at Museumplein (Museum Square), where you will find yourself surrounded by the most important museums in the city: the Rijksmuseum, the Van Gogh Museum and the Stedelijk Museum. 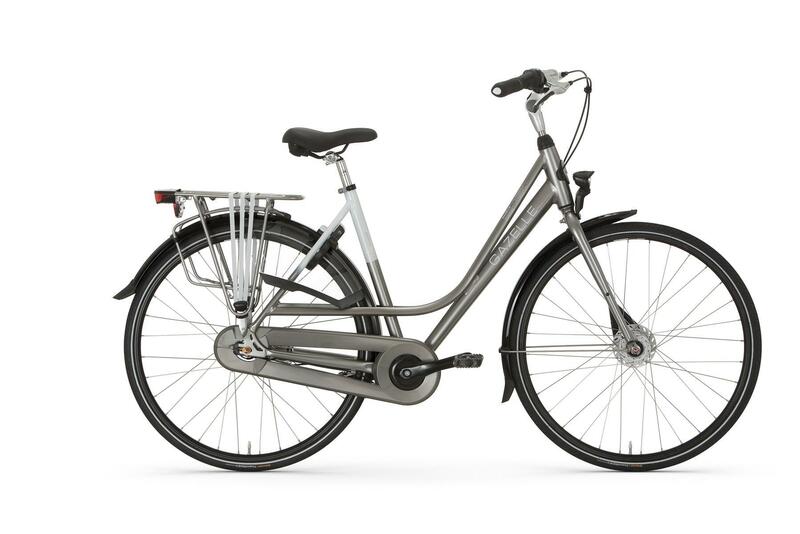 The Amsterdam XL City Bike Tour is perfect for people of all ages, no matter how fit they are. Our guides make sure that the whole group can keep up with the tour. 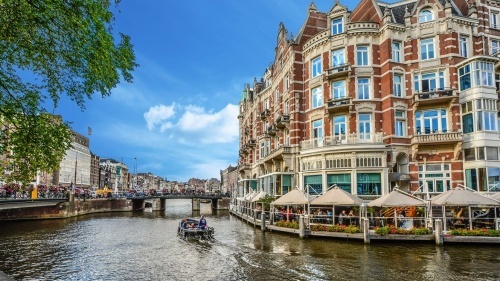 After a solid cup of coffee in the A-Bike shop and the adjusting of the bikes, what might turn out to be the most magical two and a half hours of your stay in Amsterdam can begin!